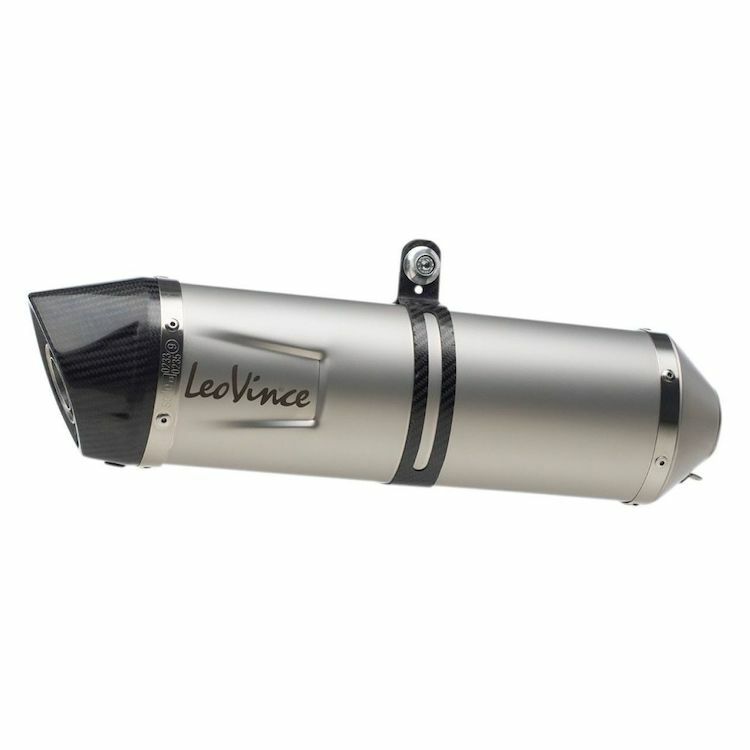 The Leo Vince LV-One EVO Slip-On is the ideal combination of aggressive sound, power and style for the most demanding riders. The stainless steel inlet is attached to the muffler body with TIG welding. The end cap, a real novelty of this exhaust, is made entirely of carbon fiber and has an asymmetric and aggressive cut. The muffler clamp is also made entirely of carbon, combining to create a perfect balance of aesthetic excellence. Note: Not compatible with factory panniers. Images are for reference only, actual Slip-On will vary depending on your bike's make and model.